Strathcona Provincial Park is a beautiful mountain wilderness that encompasses more than 210,000 hectares and is the oldest of British Columbia's parks. The park was named for the Canadian pioneer Donald Alexander Smith, First Baron Strathcona and Mount Royal. Living in the forest of western red cedar, Douglas fir, grand fir, and western hemlock is a large deer population as well as elk, wolves, cougars and other smaller mammals. Birdlife is abundant and includes the chesnut-backed chickadee, red-breasted nuthatch, winter wren, Stellar jays, pigeons and the ruffed grouse. Buttle Lake is just one of the parks many waterways where the avid fisherman may try his luck for Dolly Varden, cutthroat and rainbow trout. A road winds its way throughout Strathcona Provincial Park past cataracts, creeks and falls. Signs point to the areas more prominent peaks including Mount McBride, Marble Peak, Mount Philips and Mount Myra. The Buttle Lake area and Forbidden Plateau have visitor-oriented development. To see and enjoy the parks scenic beauty one can hike and backpack into the alpine regions. 1. Highway 28, which connects with Gold River, passes through the northern part of the park providing access to Buttle Lake. 2. To Paradise Meadows in the Forbidden Plateau follow Highway 19 to the Mt. Washington Ski Resort road. Travel for 25 km and turn left on Nordic Lodge Road for 1.5 km to the parking lot. 3. To Wood Mountain follow Highway 19 to the Forbidden Plateau Road for 19 km to the Forbidden Plateau ski area. Camping - There are two campgrounds within Strathcona Provincial Park, Buttle Lake (85 sites) and Ralph River (76 sites). Both provide water, toilets and firewood. There are marine back-country camping sites on the western shores of Buttle Lake and one on Rainbow Island. Fishing and Boating - Two boat launching areas are located on Buttle Lake. Angling for Dolly Varden, cutthroat and rainbow trout may prove productive. Waterskiing is permitted on Buttle Lake. 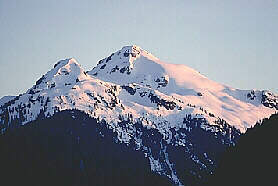 Hiking and Trails - An extensive trail system leads through Strathcona Provincial Park to the areas scenic features. A park interpreter is available during July and August.There are excellent cross-country skiing, ski-mountaineering and snowshoeing oppurtunities here during the winter months. The nearby cities of Campbell River, Gold River, Courtenay and Comox offer most necessary visitor facilities. 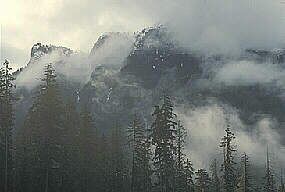 A wilderness skills training program is available from a centre at Buttle Lake.